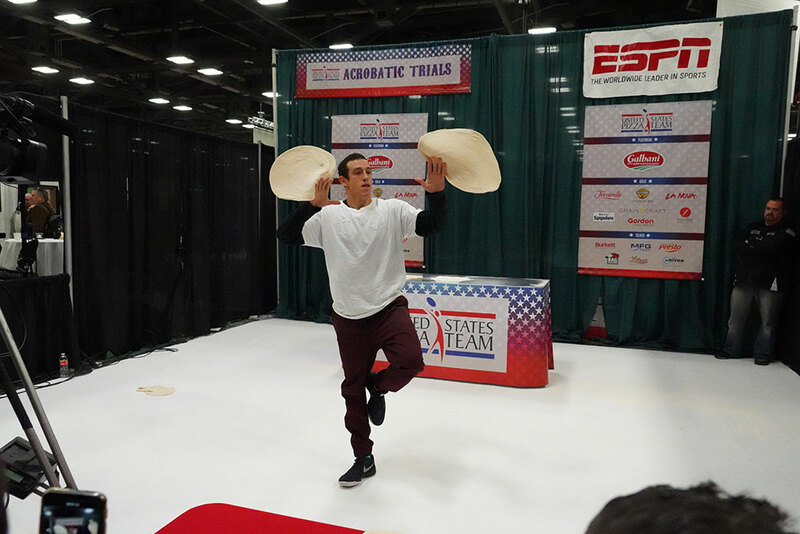 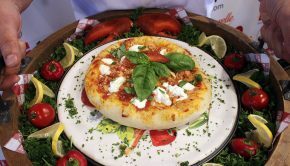 Scott Volpe of Tucson, Arizona-based Fiamme Pizza claimed the first-place trophy in the dough-spinning Freestyle Acrobatics category of the U.S. Pizza Team’s Acrobatic Trials, held Monday, Jan. 14, at the Mid-America Restaurant Expo in Columbus, Ohio. 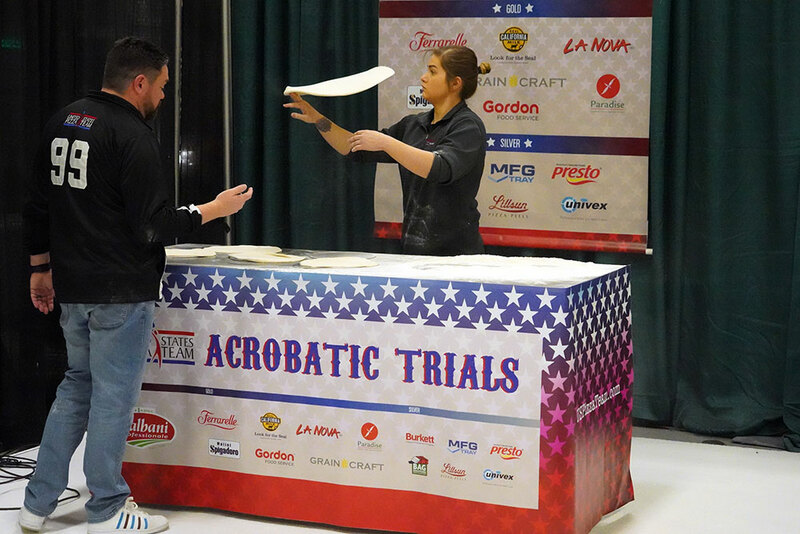 The USPT event has become an annual tradition in Columbus, but this year’s edition had a new wrinkle: For the first time, all four categories of competition—including Freestyle Acrobatics, Largest Dough Stretch, Fastest Pie Making and Fastest Box Folding—were broadcast live on ESPN3. 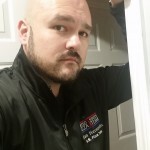 Daniel Lee Perea, PMQ Pizza Magazine’s senior media producer, and USPT member and World Pizza Championship winner Jamie Culliton provided on-air commentary for the event, with PMQ’s Chris Green covering it from the sidelines. 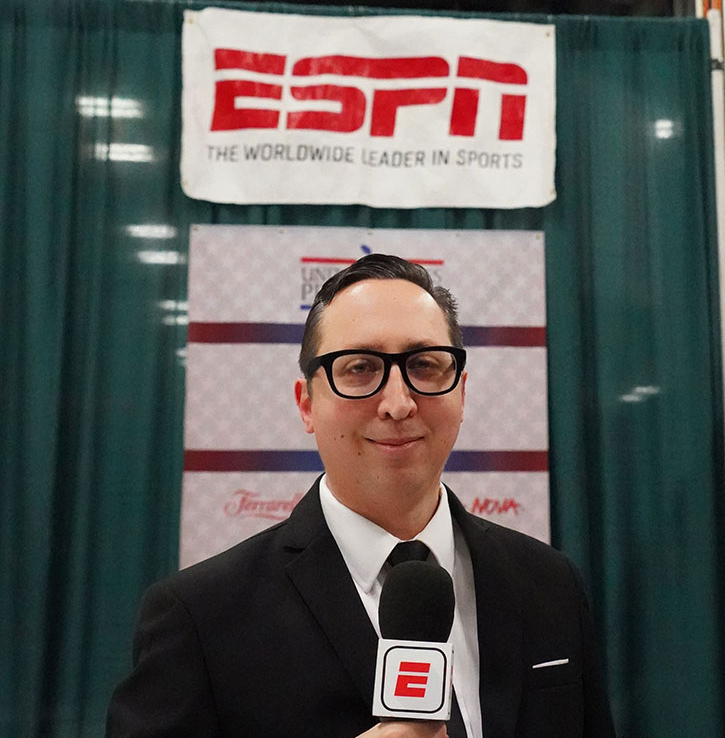 It was the first time a USPT competition has been aired live on national television. Often working with two dough skins and executing snazzy reverse double-rolls and other tricks, Volpe won the acrobatics category with a scor e of 225.5. 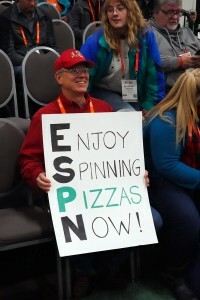 He earned 13 points more than the second-place winner. 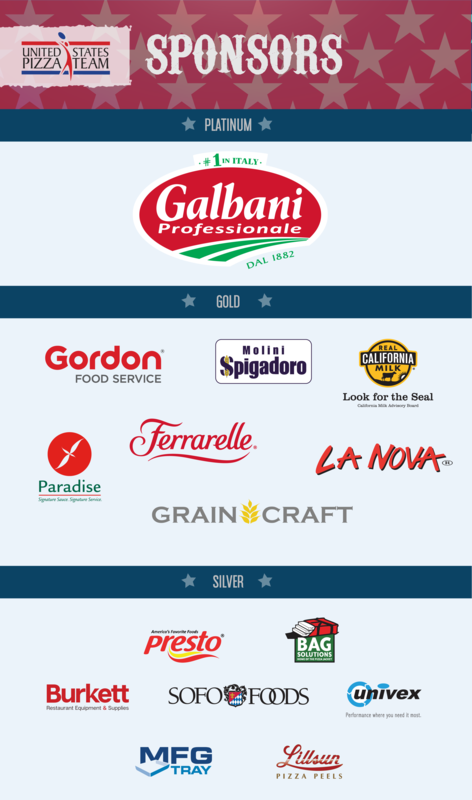 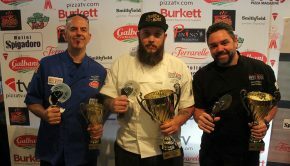 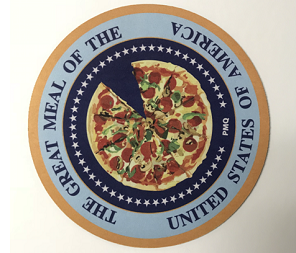 Volpe will now travel with the U.S. Pizza Team to Parma, Italy, later this year to compete at the World Pizza Championship. 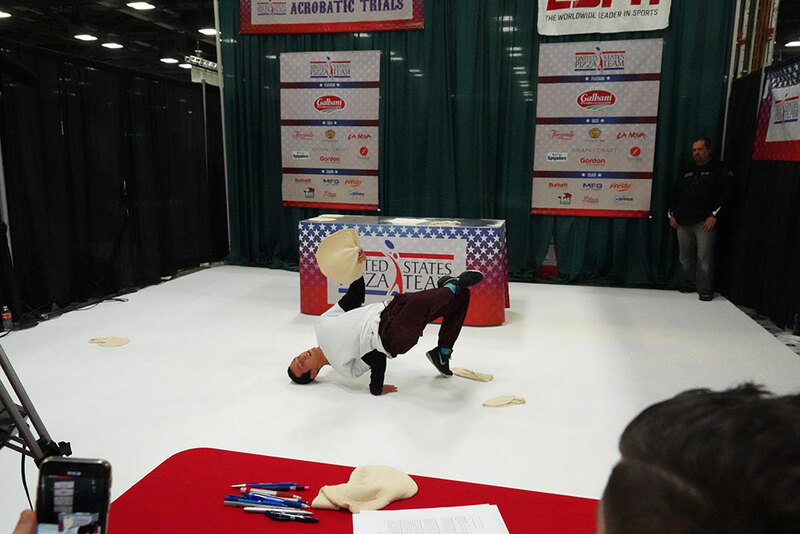 The freestyle acrobatics contest also saw the return of veteran spinner Patt Miller of NY Mobile Fire’d, located in Cincinnati, after an absence from competition for several years. 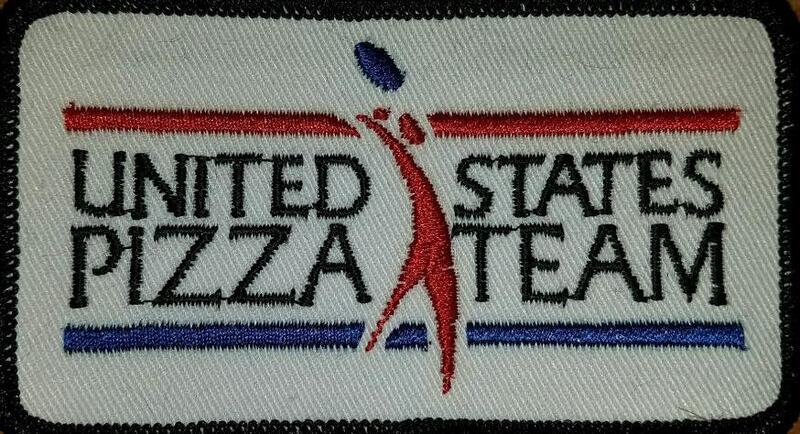 Showing no ring rust, Miller took home silver. 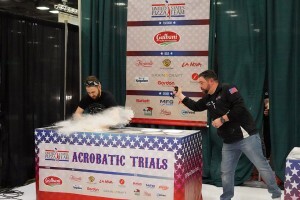 Nate Wilson of 600 Downtown in Bellefontaine, Ohio, took bronze with a solid performance. 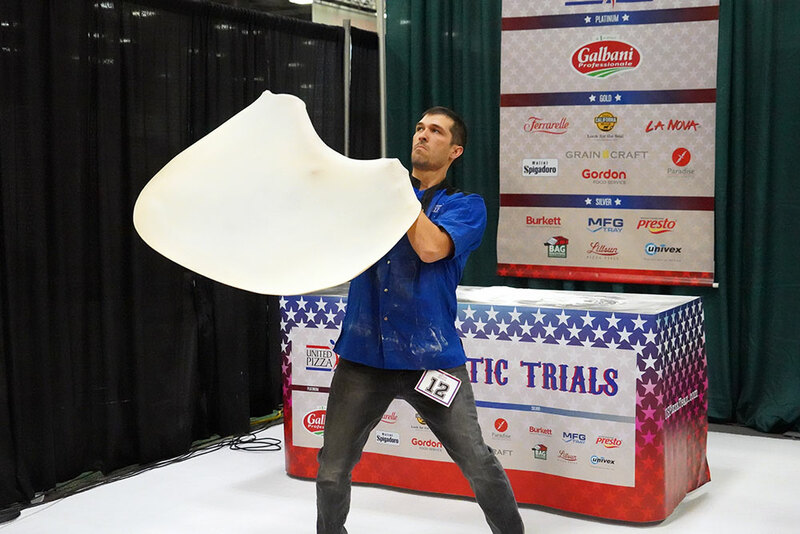 In Fastest Pie Making, Landon Butler of 600 Downtown grabbed gold with a blistering 43.78 seconds. 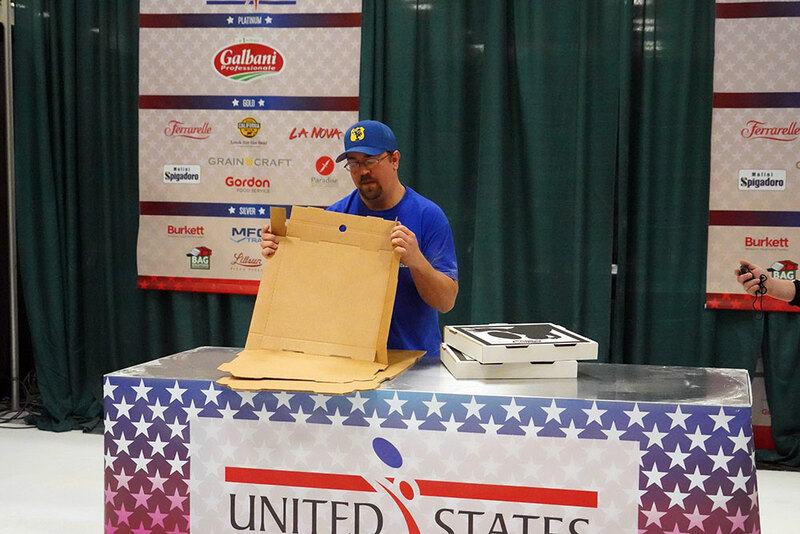 Newcomer Tara Hattan, hailing from Andolini’s Pizzeria in Tulsa, Okl a., took silver with 52 seconds flat. 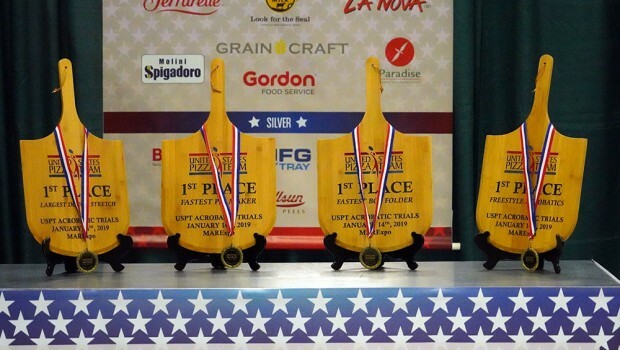 Roman Miller, also of 600 Downtown, won bronze with 57.44. 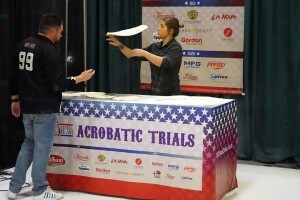 Fastest Box Folding concluded with David Whisker of B.C. 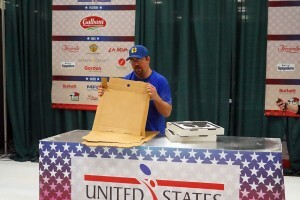 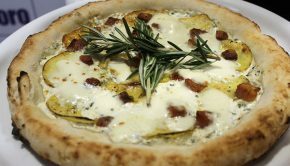 Pizza in Boyne City, Mich., being as good as gold—he folded five pizza boxes in just 27.87 seconds. 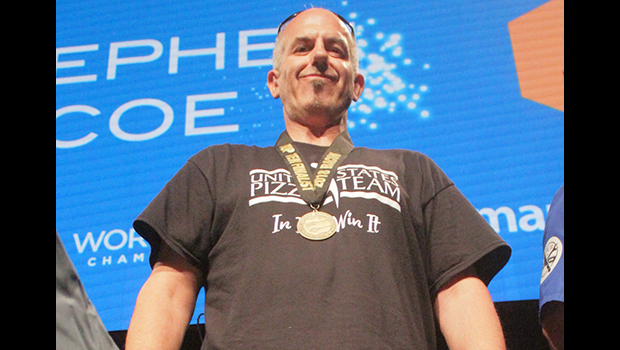 Newcomer Max Mathious of Caliente Pizza & Draft House in Pittsburgh took silver with 35.54. Matt Hickey, also of Caliente, took bronze with 42.90 seconds.